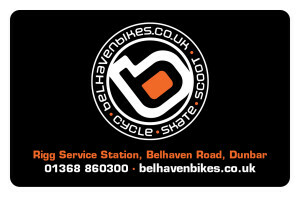 You are here: Home » News » Christmas Offers from Belhaven Bikes – Shop Local! Christmas Offers from Belhaven Bikes – Shop Local! 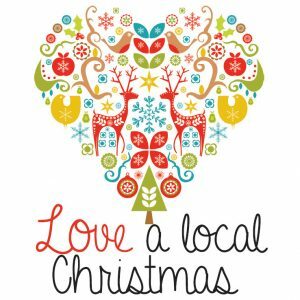 Keep it local this Christmas with our tempting offers! Our Finance offers are popular throughout the year but can really help customers spread the cost and ease the burden at such a busy time as Christmas. Until the end of November, we also have a ‘Buy Now Pay Later’ finance option which removes the worry of paying until 2017! Check out our Finance page for information or pop into the shop. Our ever popular Christmas Club started in August, so secure what you’d like to buy for Christmas and we’ll help you spread the cost. We have customers from Berwickshire, Scottish Borders, Edinburgh, throughout the Lothians and beyond so, near or far, you can use our Christmas Club. If you are not close by, we’d be happy to take payments over the phone and post out to you in time for Christmas. The East Lothian Council ‘Christmas Shop Local’ prize draw has already started and runs until 24 December 2016. 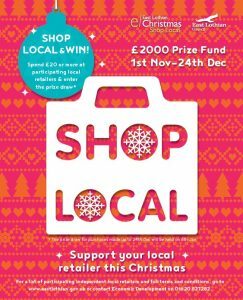 Spend £20 or more with us and receive an entry card which gives you the opportunity to enter the draw, to win a share of £2,000 shop local vouchers. Winners will be announced January 2017. Good luck! Small Business Saturday is a grass-roots campaign that encourages people to ‘Shop Local’ and support small businesses in their communities, both on Saturday 3rd December 2016 and beyond. In October, we exhibited at the Small Business Saturday bus tour when it stopped at Edinburgh. Check out a tweet from the day. While you are out and about on ‘Small Business Saturday’, Saturday 3rd December, why don’t you pop into the shop to enter the East Lothian ‘Shop Local’ prize draw or find out more about our Christmas Club, Finance and Gift Card options. You can also celebrate with a free cupcake and from 29th November until 3rd December, you can enter our free prize draw to win a £30 gift card or a bike service. Look forward to seeing you on Small Business Saturday! These are really useful for those particularly, hard to buy for friends and relatives. Choose your preferred gift money sum and we’ll pop it on to our own branded gift card. The card doesn’t have to be redeemed in one transaction and is easy to keep at hand in a wallet or purse. It can be topped up too! We have a vast array of products to choose from, bikes, skateboards and scooters, something for everyone…whether they cycle, skate or scoot! 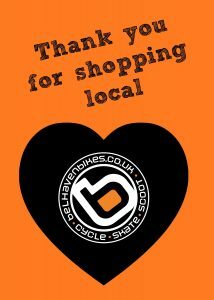 So, browse through our website for bikes, scooters and skateboards, you can buy scooters online from us with free local delivery and on orders over £100 …or drop into the shop (we’re in Dunbar, East Lothian), send us a message [email protected] or give us a call! On the run up to Christmas we will be open extra days.